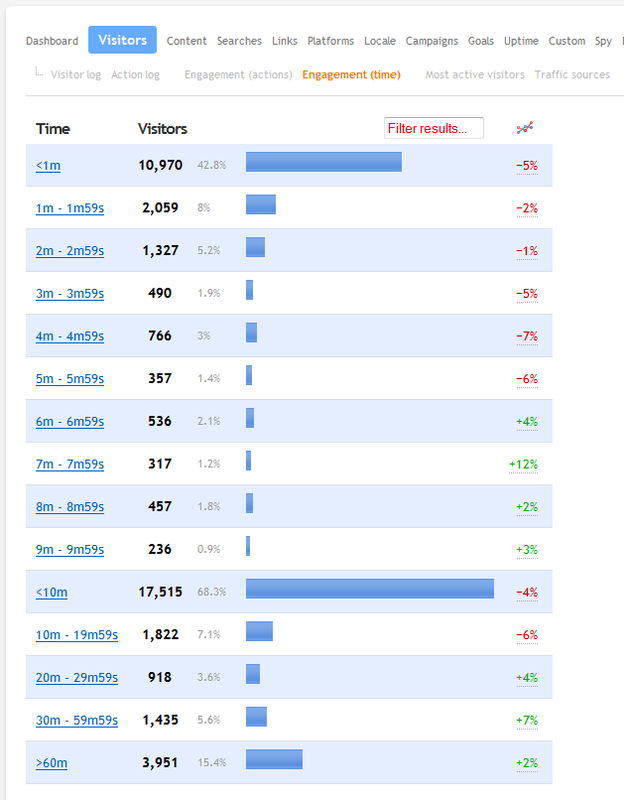 Clicky has several engagement reports to show how engaged your visitors are with your web site, as shown below. The action engagement report breaks down the number and percentage of visitors who performed different numbers of actions on your web site. 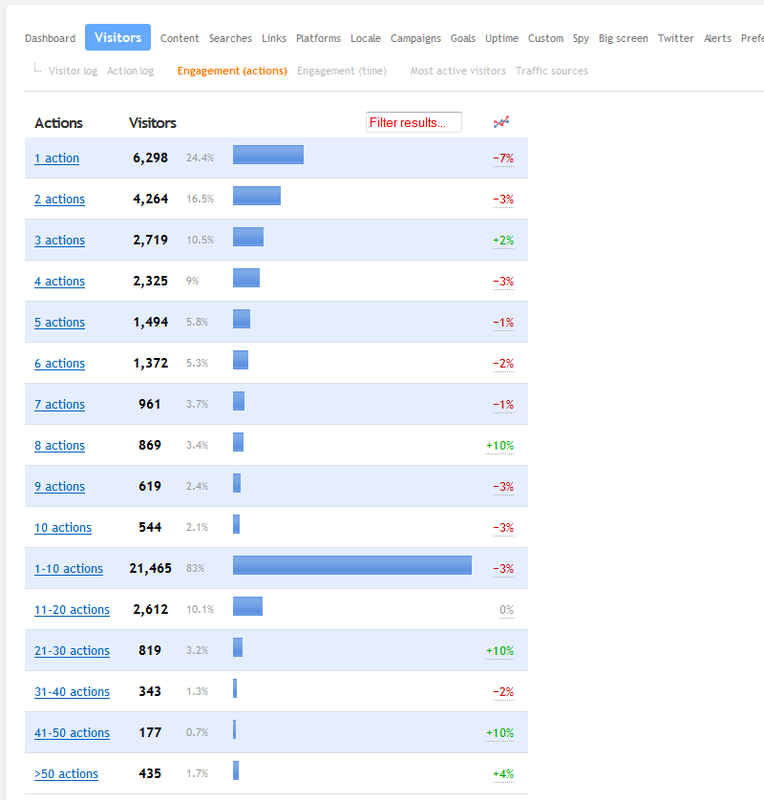 Unlike most other reports, these are ordered logically rather than by "popularity". Note that the "1-10" bucket includes all of the items before it wrapped into a single item. The time engagement report breaks down the number and percentage of visitors who spent different amounts of time on your web site.